The SNOW DOME in Bispingen, on the A7 motorway near Hamburg, is regarded as the most modern indoor ski slope in Germany. A track 300 m long, equipped with a 6er lift gives young and old the opportunity to use skis and snowboards all year round, in any weather. In the spring of 2006, the planning office of Wenzel in Lüneburg requested tenders for the planned heating system. After several presentations, ELCO received the order. 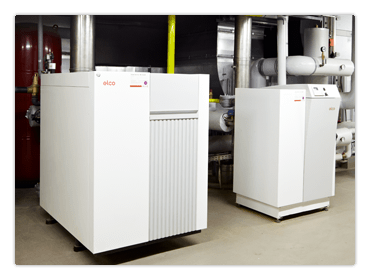 The recommended two gas condensing boilers, which work primarily for the ventilation, appealed to the technical partners on several counts: compact construction, low weight, low water content and a wide range of modulation for demand-oriented, energy-saving warmth. The Longlife service contract for guaranteed reliability and fixed maintenance costs rounded off the solution package perfectly.